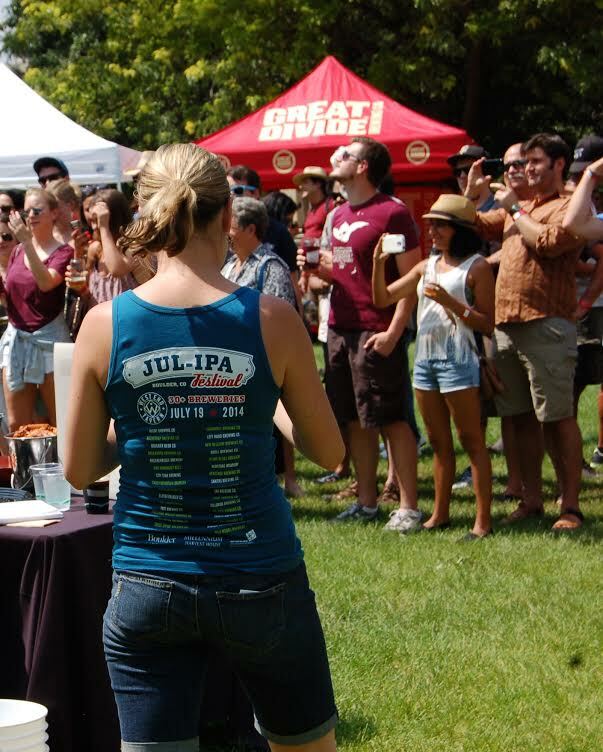 This Saturday, July 11th is the 7th Annual Jul-IPA Festival, presented by The West End Tavern in Boulder. The event will be held at the outdoor pavilion of the Millennium Harvest House Hotel from noon-4 p.m. This year’s festival will host over 35 breweries, mostly local but with some well-known out-of-state breweries too, such as Dogfish Head, Firestone Walker, Stone, and more. In between sampling all those IPAs, festival-goers can indulge in some of West End Tavern’s world-famous, rib-sticking BBQ pulled pork, bacon baked beans, and mac & cheese. As if an abundance of IPAs and great food isn’t enough, there will be lawn games and live music performed by The Goonies and Sixty Minute Man. JUL-IPA fest is not only intended to be a fun day for attendees, but it is also for a worthy cause. All proceeds will benefit Safehouse Progressive Alliance for Nonviolence. Tickets are $30 per person and $10 for designated drivers (non-drinking). The price will go up the day of the event ($35), so be sure to purchase ahead of time to save $5.